What is Debenhams' biggest shareholder doing, talking the retailer down in the crucial week before Christmas? Key moments in the long history of the retailer. Closures will take place over a three to five year period and the announcement comes alongside a dire set of financial figures. 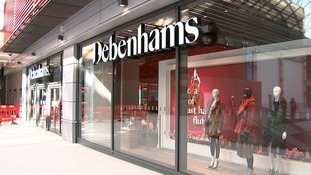 The chief executive of Debenhams says he believes the company will succeed despite concerns about its future. The troubled retailer is said to be considering options including a company voluntary arrangement (CVA).